Start point : Main Road inNewlands. Quarter way mark(14 km):In Lakeside, just past theSandvleiturnoff. Marathon mark(42.2 km):Near the cemetery onConstantiaNek. It is the responsibility of each runner to know the route of their race. 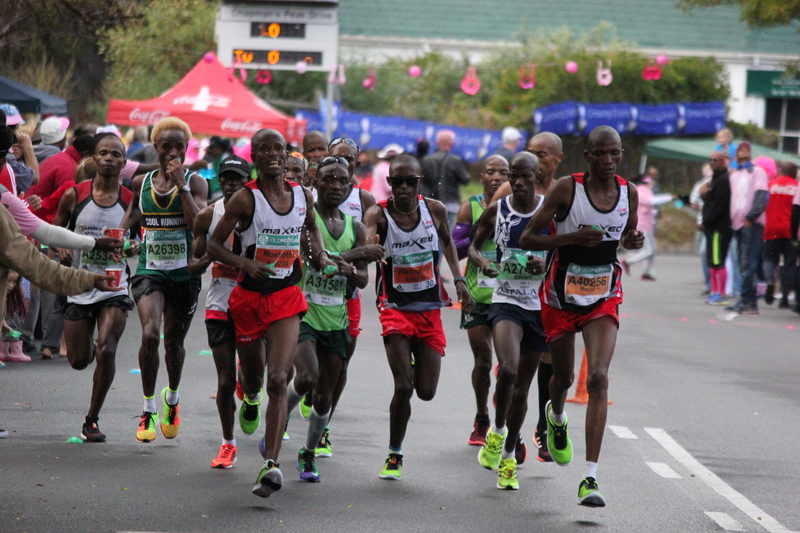 Traffic Police and race marshals will take all reasonable steps to ensure runners safety, however runners are responsible for their well being at all times. 56 km: The route remains the same as usual. 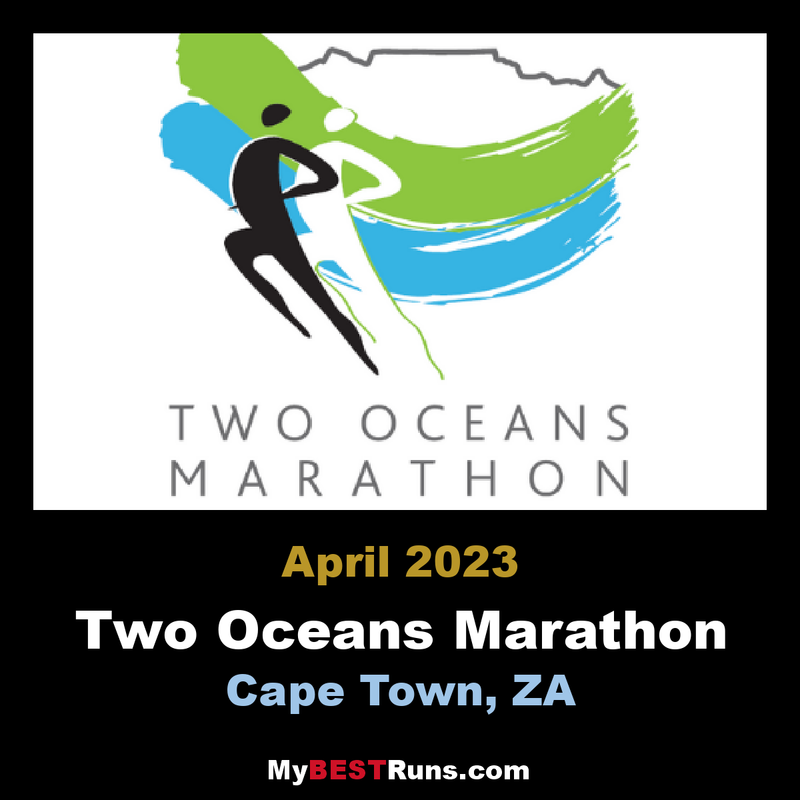 From the start in Newlands along the Main Road to Fish Hoek, Chapman’s Peak Drive, Hout Bay, Constantia Nek, Rhodes Drive, and Union Avenue to the finish at UCT. An IAAF graded course measurer has certified the route. A sign will mark every kilometer of the route. The course is 56 km (35 miles). 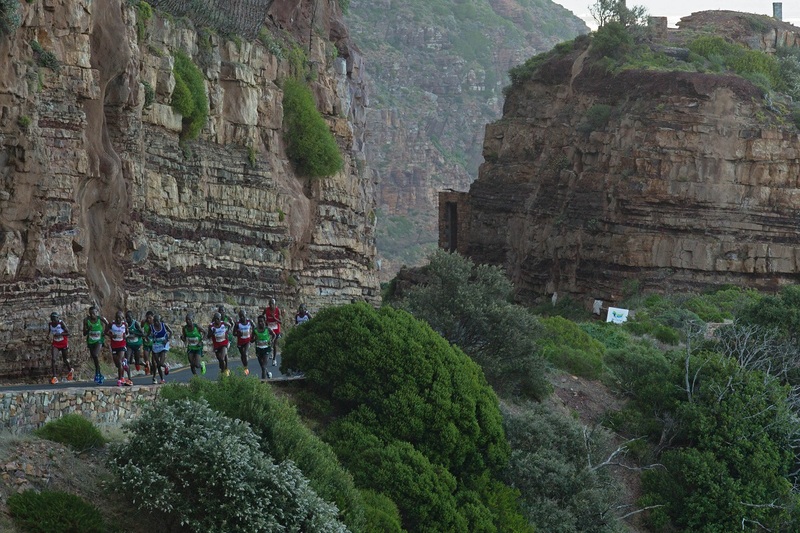 The Ultra Marathon Route is actually quite flat for the first 28 kilometers, and then starts to climb quickly as one approaches the start of Chapman’s Peak. 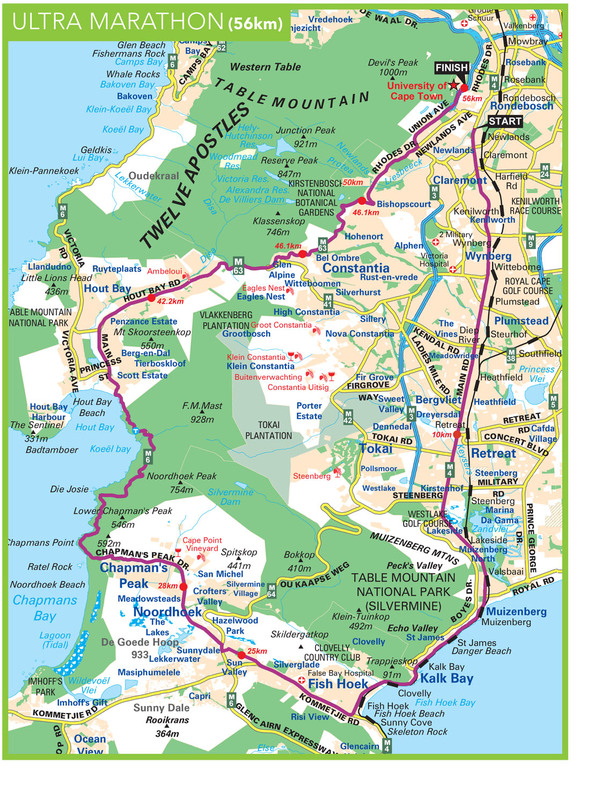 From Hout Bay, the route climbs again to the highest point at Constantia Nek. Thereafter the route is undulating until the finish at UCT.